Last July 2011, I visited Clark and Subic, Philippine and I’ve met Norberto Dacuyan. He proudly showed me his prized possessions of live mortars and shrapnel. He was proud that he found them just steps from his front yard (see video link above). So I dug a little deeper and I found more stories of UXO that could continue to endanger children and families that live there. I interviewed 21 victims of UXO; perhaps more similar stories exist as I only visited two villages during my short visit there. I’ve also met Pablito Mellomida, a local resident of Kinabuksan Village in Subic Bay, Philippines. He took me around his backyard and dug a live mortar. He held it in his hands and showed it to me. 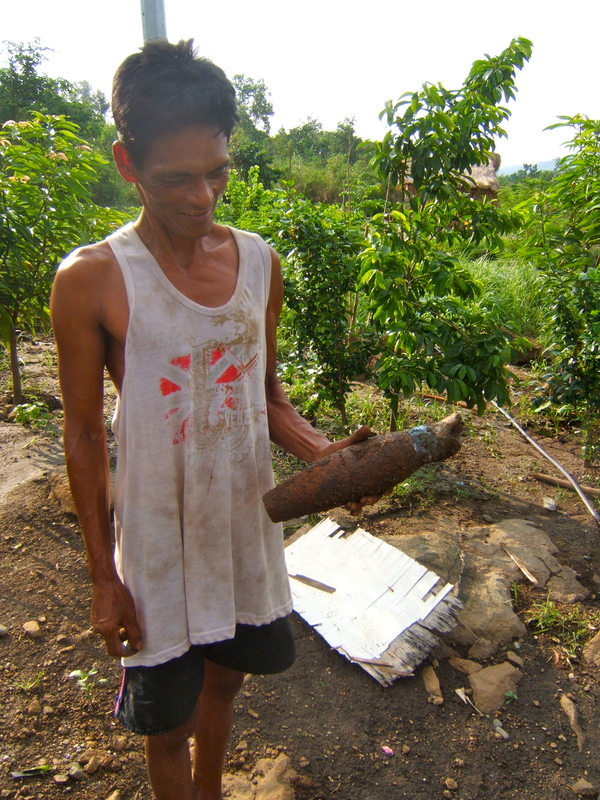 I believe that the stories of UXO from Norbert, Pablito and 19 other victims of UXO are not isolated incidents having both Clark and Subic to be former US military bases for almost one hundred years. The United States have acknowledged that both Clark Air Base and the Subic Bay Naval Facility have significant environmental damage and if the US unilaterally decides to clean up these bases in accordance to US standards, the cost for environmental clean up and restoration could reach Superfund proportions (US General Accounting Office Report January 1992). However, the US continues to deny its responsibility to clean up the toxic wastes left behind. They deny responsibility based on the military bases agreement that it does not have any well-defined environmental responsibility upon the US to clean up after the withdrawal (US General Accounting Office Report January 1992: page 6; Mercado, 2001: page 9). September 16, 2011 marks the 20th year anniversary of the Philippine government’s refusal to renew the US-Philippine military base agreement that set in motion the US withdrawal of troops from the Philippines. Twenty years later, the US still has failed to clean up the toxic wastes left behind at its former military bases at Clark and Subic. The Bayanihan Foundation, its partners including the Alliance for Bases Clean Up is launching a public education and outreach campaign to Filipino Americans and to all, appealing for fairness and justice on this almost forgotten issue. In 2011, the Philippine case is still far from being resolved after 20 years of the closure of the bases. The US continues to deny responsibility because the US-Philippines military bases agreement that it signed in 1947 lacked any provisions on environmental protection. However, denial of its responsibility also ignores the US’ core values of fairness and justice. 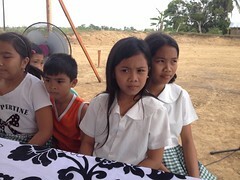 This entry was posted in Bases clean up, Diaspora Donors, Health, justice, Philippines and tagged community involvement, education, justice, unexploded ordnance. Bookmark the permalink.